Your readers having solved one matter for me – the mythical Southdown AEC S type -maybe they can shed some light on something else that’s long bemused me. 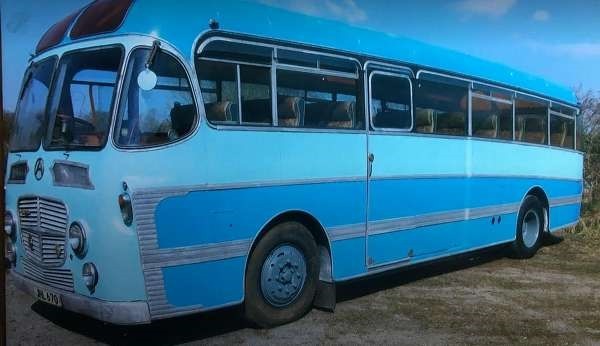 I have a memory of a school outing in Worthing in the late 1950’s where the school hired a couple of coaches to take us somewhere, and although one of them was a Southdown, my recollection is that the other was a blue Bedford run by an operator styled "˜King of the Road". I’ve even carried the reg number in my head for 60 years, JUJ 199, and googling this does indeed bring up a Flickr photo of a Bedford with that number, as attached. However I’ve never been able to trace any record of the operator, and I’m beginning to doubt that part of my memory after 60 odd years! Does anyone have any info about this coach or its operators, please? Since I posted this I’ve found a website that gave me some key bits of information: firstly that there was indeed a coach firm called "King of the Road" based in Worthing in that era, secondly the website listed 5 coaches which King of the Road owned in the 50’s, though none of them were this one. And thirdly, that JUJ 199 was owned by Salopia of Whitchurch at that time. As Worthing is a long way from Whitchurch this has only deepened the mystery, unless the answer is that 60 years is just too long a period over which to trust my memory! So I’d still be grateful for any light anyone can shed on this, please? It’s a Bedford SB coach. UJ was a registration issued in Shrewsbury, although the vehicle seems to be parked next to some East Kent buses and very much towards the end of its life. I have no details of this Bedford coach. The two double-deckers behind are East Kent buses, with front one having it’s indicators set for service. However, the background looks more like parking for an excursion rather than a bus station scenario. But this may well suggest that the photo was taken in the south-eastern part of England, with JUJ199 having moved on from Salopia to King of the Road in Worthing by the photo date. I have also checked for the coach and the operator on the SCT’61 site, but nothing relevant is recorded there. King of the Road, Worthing mainly bought ‘new’ vehicles in the 1950s with West Sussex registrations. Their livery was dark & light light. You don’t say what year it was but they had BJU 779 [Bd WTB – Wk C26F] in the fleet until 10/56 so maybe they turned that out St Trinian’s style for your school party. JUJ 199 seems a red herring, after Salopia it went to a London operator and then a series of South Eastern operators ending up with Wren, Canterbury in 1966. King of the road were a well respected small independent in Worthing, who always took Bedford chassis. They usually had around half a dozen coaches & were still going in the mid 80s, though I cant be sure when they ceased. The photograph looks as if it was taken in Canterbury bus station & The East Kent Regent V of the type seen here first entered service from 1961 onwards, so would date the shot to post 1961. hope this helps. It seems likely that the above shot was taken when the vehicle was in the employ of Wren, Canterbury. That is the destination shown on the foremost of the East Kent Regent Vs, so it is almost certain that that is the location. Don Davis seems to be satisfied that JUJ 199 was the vehicle he travelled on, therefore I am inclined to suppose that it was in the ‘King Of The Road’ fleet for a time, or perhaps the proprietor had it on loan from another operator. JUJ 199 Bedford SB 16384 Duple 1031/47 C35F new 5/1953 Salopia, Whitchurch fleet No 93. Oh what a weak and fickle thing is memory! I can’t be sure of the year, the vehicle, or the occasion of that school outing; just little snatches vaguely remembered after the passage of 60+ years! I think we’ll have to leave it that it was one of the other King of the Road Bedfords that we used that time in Worthing. However, your replies have sparked off a completely new train of thought; in the 60’s we moved to Hythe in Kent, and I now recall that I once went on a church outing from there – to Canterbury! Maybe that’s when I came across JUJ 199, particularly if as David says it was in the employ of a Canterbury firm at the time. Maybe the church hired it from Wren, and all I’ve done is conflate two separate childhood memories a few years apart! Anyway thanks for all your comments, chaps, and for trying to help elucidate my mystery, and thanks to this brilliant website for providing the forum to air the matter! I have acquired a Matchbox ‘Models of Yesterday’ of a fairly accurate AEC ‘S’ type, but it’s tricked out as a Southdown bus, and so far I can’t find any record of Southdown ever operating one. Can anyone confirm whether or not Southdown ever operated any AECs, in the 1920s/30s please? As my rule is that I only retain authentic models in my collection, the model stays if the bus existed but heads for the second-hand shop otherwise. Southdown and AEC’s were as rare as hen’s teeth. Southdown had an AEC Regent with Short Bros body on hire from July 1930 to March 1931. It was painted in Southdown livery and numbered 10, registered by AEC as HX 1091. It operated in the eastern part of Southdown territory. Southdown bought plenty more Short Bros bodies, but placed on Leyland Titans, not on AECs! There was also an AEC Regal coach taken over with the fleet of an independent c.1931/32. It was soon sent off to Bath Tramways / Motor Services [whichever term was correct for that time]. 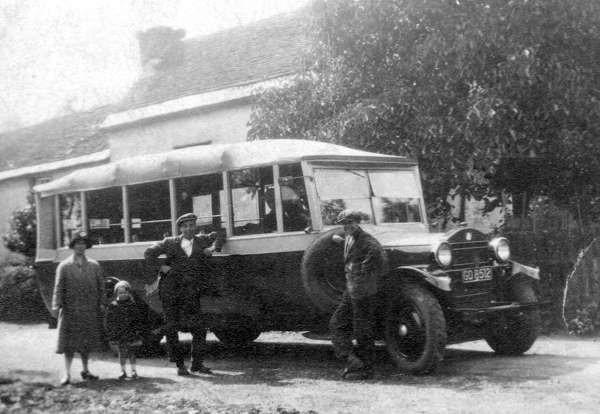 Four AEC B or Y-types were acquired on taking over other operators between 1921 and 1925 (Nos 32-34/36). These had charabanc bodies. There were also the two ADC 802 six-wheelers on demonstration for a while (Nos 28-29). Both had gone by 1930. Will any of these match your model? They were unusually loyal to Leyland. Michael. I can only recall the distressed purchases of Guys during and after the late unpleasantness. I cannot recall them having any austerity Daimlers or single deck Bedford OWB’s. For the latter, I suspect they had enough single deck coaches they could call upon, if necessary. Indeed, Southdown were firm Leyland users, although Tilling-Stevens were another well-used supplier in the mid- to late-1920s. The other, perhaps surprising, use of an AEC, was the use of demonstrator AEC Renown 7552MX for a few days (weeks?) c.1962/63. Painted blue and cream, it was used at least in the Portsmouth area, and I rode on it on route 42 – from Southsea to Cosham (the bus continued on to Petersfield). No new AECs appeared, and Southdown had no need of low-height double-deckers, so it’s use on hire is really a mystery. 7552 MX eventually arrived with Burwell & District as its permanent owner, and I have an EFE model of it thus portrayed. It’s one of the few models which I can truly say I have used in it’s primal form! Thanks chaps for your very helpful replies – you have been able to confirm what I thought must be the case, that this model is a complete non-starter. If my modelling skills were up to it I’d try repainting it in a livery it would actually have carried, e.g. East Surrey, but my skills being non-existent (like the bus), I’ll dispose of it, as humanely as possible! Well, Don, you will be following a great Southdown tradition – moving an AEC out of the fleet as soon as possible to another user! Can anyone throw any light on this coach-found in a field in Jersey circa late 90’s. Probably has an interesting history? Originally LCD 236, new to Johnston (Unique), Brighton. Re-registered J 8338 5/59 by Lock St Quen, Jersey. I have no record of this OB surviving, this is the full history from PSVC records. I am hoping to get an up to date report on it from an enthusiast on Jersey. Nigel Edwards, I took the liberty of posting your picture on the Passenger Transport of the Channel Islands, past & present, Facebook Group to see if any further information was forthcoming. I received the following information off John Luce. "She was in Service with St. Ouen’s Coaches, from 21/05/1959 and was their only coach based at the Glenmore Hotel at St. Ouen. I have never seen the coach as she was in their livery of Salmon pink and black. Last PSV Plated 09/06/1961, and the Plate returned & Cancelled 25/06/1962. She was in the field at the back of the Glenmore Hotel at St. Ouen, access via the road that leads to Lecq Farm and the clay pigeon shooting range. Just when she was assigned to the field I do not know although when I saw her she had only the back seat in her, probably used as sleeping accommodation, maybe by either the hotel, or more likely a farmer? " Thank you Stephen, Nice to know the history and good of the gent in the C.I to reply. Always a bonus if one can add this info to the photo(s). I was wondering if anyone may be able to identify the make of this old Bus for me. 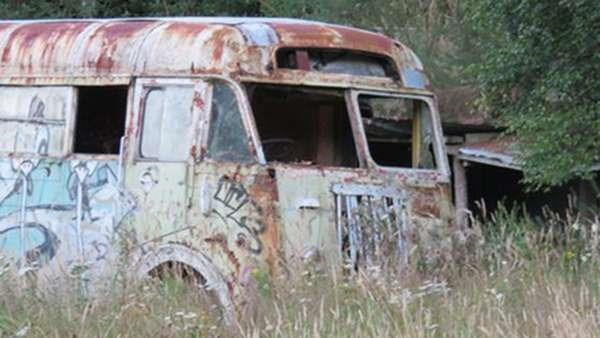 It is on the Side of the Napier to Taupo Road in New Zealand, previously used as a house bus. "Foden" came to mind from the shape of the front grill, but I did not get close enough to inspect. A possible starting point to assist with this query might be Sean Millar in Auckland who has published a number of New Zealand bus and railway enthusiast books. 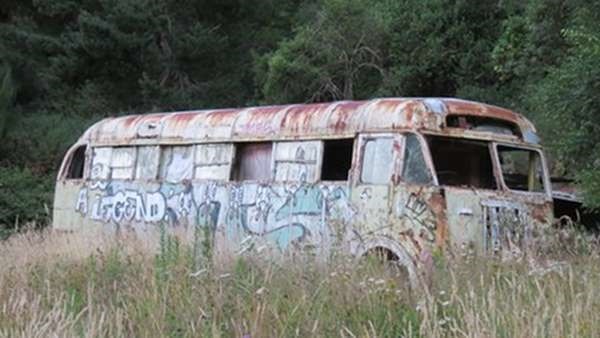 Another possible contact might be the ‘Otago Heritage Bus Society Incorporated’ on Facebook. I’ll start it off… could it be a Daimler- did they export the CD650? A nine bay bus suggests it might have a local body. The style and length reminds of the full fronted Dennis Lancet (III, I think) that Newport had. The radiator grill looks homemade! It looks like it could be an old N.Z. Railways Road Transport Services bus with N.Z.M.B. bodywork. Possibly a late 1940s Mack. I’ve travelled the Napier-Taupo many times in my 30 ears in new Zealand and sadly never spotted that bus. It looks a bit like NZ Motor Bodies coachwork, they seemed to delight in US style of lots of smaller side windows.I agree with Orla, I think the front grille is home made. A good guess for the chassis would be a petrol engine Bedford of some sort, possibly OB. NZ was renowned for large numbers of petrol engined heavy vehicles, up to the 1980’s. Mainly Bedfords. Most of the buses were operated by NZ Railways Road Services – in fact they had the largest fleet of road vehicles in the country at one time! Yes, David F, I did a posting some time ago of an Air Ministry Bedford Bedford SB and wrote, "It became a big seller in India, Pakistan, Australia, New Zealand and Africa, as well as in the UK. The largest fleet of SB buses in the world belonged to New Zealand Railways Road Services, with 1280 SB buses, built between 1954 and 1981. became a big seller in India, Pakistan, Australia, New Zealand and Africa, as well as in the UK. The largest fleet of SB buses in the world belonged to New Zealand Railways Road Services, with 1280 SB buses, built between 1954 and 1981". I did wonder if the front grill of the "old bus" is that of a Jenson, but it’s doubtful: I tend to agree with others that it’s homemade! I came across these photos in Newcastle Emlyn Museum today. Very poor quality because they are a photocopy of a copy,etc,etc. However the reg no is FBX 555. The chassis is (I think) Maudslay Marathon III. I’m thinking the date is around 1948. 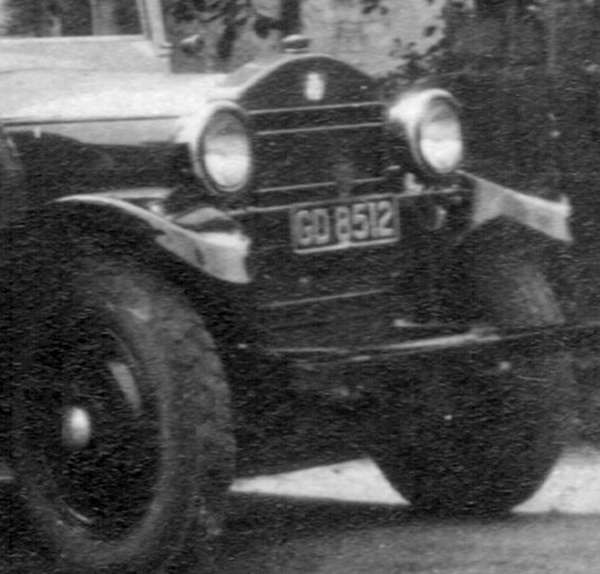 The coachwork looks a bit strange around the windscreen area, so I wonder if this was built by a local company, perhaps Longfords of Neath. The operator is G J Jones & Son, Newcastle Emlyn, sadly no longer in existence. I can’t find any info on this coach, so can anybody fill in the gaps, please? New in October 1949, it is a Maudsley Marathon III, the body is by South Western (Taunton) and is to C35F configuration. There’s an article on South Western in issues 27/29 of the Web News of the West Country Historic Omnibus & Transport Trust (WHOTT), but you need to be a member to access it. Sorry, what I said above isn’t correct, past issues of the newsletter are available in hard copy at £2.00 each, but they have to be ordered by post and payment needs to be by cheque/postal order. Thanks for the info. It seems an unusual choice of chassis & bodybuilder for a small operator in West Wales. Do we know if it was new to Jones, how long they kept it and what happened to the coach eventually? 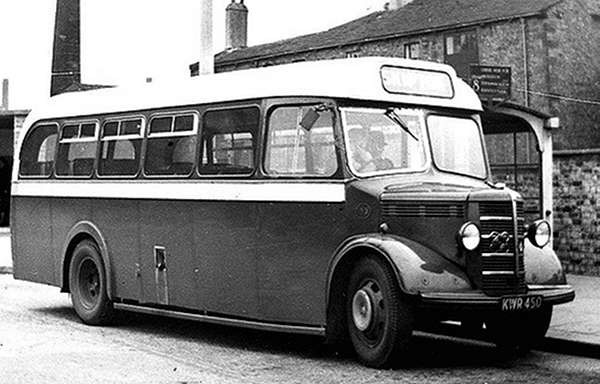 It later passed to Williams (Tumble Coaches), Upper Tumble and they traded it in to Sleeman a London dealer in 1958. It ended up with a showman. Re the appended photo of Traffic Lorry Bus CC 2029 – does anyone know who manufactured the Traffic brand chassis, and where? The only information I can find is that the company was American. The Traffic was made by the Traffic Motor Truck Corporation of St. Louis, Missouri, U.S.A.. 1917-1929. The most battered photograph in this pair has been in the family for as long as I can remember with the stories of our ancestors being killed on returning from a game at a pub. Some ghoulish person has put an X on the tree where one of the passengers ended his life. Even today, driving down that road to Oxenhope near Keighley, requires careful negotiating. 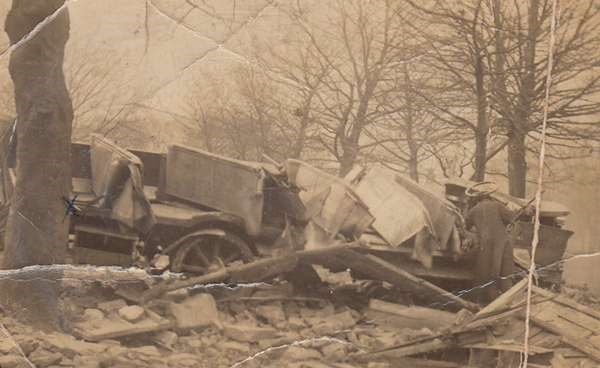 I would guess that the date is early ’20s and with 1920s brake technology, one slip of a crash gear box… Does anyone else have any information about this incident? I have heard on good authority that JHL 670 is still with Val O’Sullivan but is a non runner, engine seized he also owns Guy SS MXX 352, an unidentified rear engine Foden and a Bedford J2 Plaxton. Can anyone help with identifying the origins of HWR 396, which appears to be an AEC Regal of Baldwin and Barlow, Tow Law t/a Heather Bell. I have tried the PSV Circle chassis publications for AECs and can find nothing. I suspect it could be a rebuild from an earlier chassis, but the registration suggests around 1946. The attached photo was taken by Alan Cross. Philip, ‘HWR’ was first issued in July 1948, and was a West Riding of Yorkshire registration mark. A look on the ‘Bus Lists on the Web’ site sadly drew a blank regarding HWR 396, even after typing in the registration number. The only ‘HWR’ AEC Regal III listed was HWR 121, a Santus C33F-bodied coach delivered to Anderton’s of Keighley in August 1948 (Chassis No. 6821A126). Sorry the info is not really of much use, apart from pointing strongly to Baldwin & Barlow acquiring HWR 396 second-hand, but I’ll try ferreting through any books containing photos of ‘Yorkshire operators’ and see what happens. "The plot thickens….." as the saying goes, along with another used up here – "Tha’ nivver knows…." If I may answer my own over-hasty posting: its not FC Burrows (they are roofers) but Tom Burrows of Wombwell and there was a lot of correspondence about them at one time on OBP- but no sign in published listings of HWR 396. The answer is out there somewhere! At a glance this looks like a standard Duple body of the period but I don’t think it is. The side flash isn’t applied in Duple style and there are two sliding ventilators provided to the side windows whereas I believe Duple used wind down windows in their post-war A type body. Also interesting is the cab door which has a straight bottom edge to it and no toe holds provided for the driver to climb in. Other than using the nut guard on the front wheel, I imagine accessing the cab would have been quite a challenge. I think this coach is a copy of the Duple A style, I know that Gurney Nutting produced some lookalikes but I’m not sure they did so as early as 1946. It’s a good effort but I feel sure it’s not the real thing. 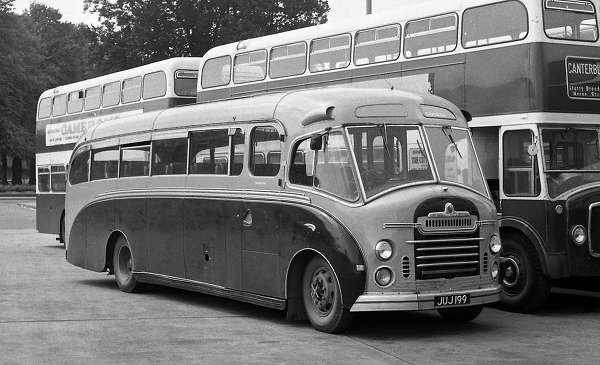 This was a rebuild of an AEC Regent I, chassis number 06614408, original registration number HL 7772, and I suspect that, as a double decker, probably with a Roe lowbridge body when it was new to Bullock & Sons of Featherstone. 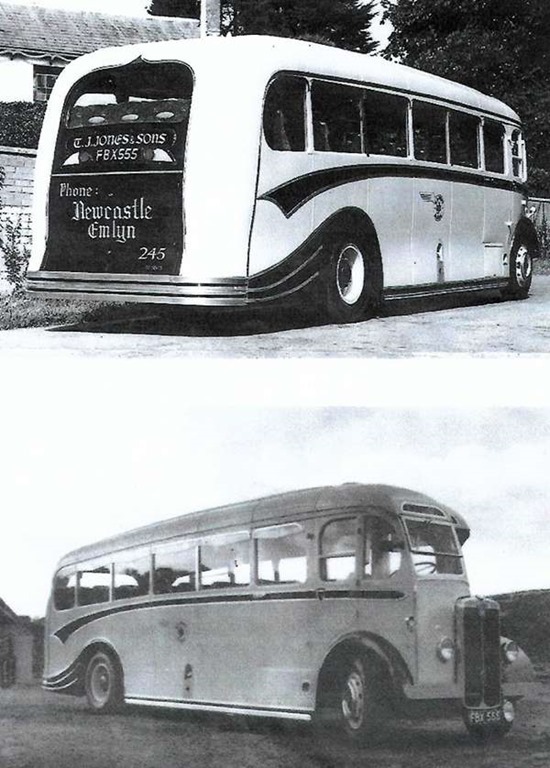 The chassis was rebodied by Tower Coachworks of Leeds and reregistered for Myers Rose of Shipley, from whom the coach was acquired by Balwin and Barlow (Heather Bell) of Tow Law in either 1949 or 1950. It ran for Heather Bell until 1960. In this photograph, HWR 396 is in Bishop Auckland, operating the Stanhope – Wolsingham – Fir Tree – Howden-le-Wear – Bishop Auckland service. It is obviously a Thursday or Saturday (Bishop Auckland market days, when the service ran hourly, instead of 2-hourly on other days), because there is a duplicate vehicle alongside. The duplicate coach is also a rebuild from an earlier chassis, one of three, KTC 450/454/457, with Trans-United bodies and chassis numbers 0662/LD/001, 5 & 8. Baldwin and Barlow acquired these from the Kia Ora / Tattersall group in Lancashire, the chassis rebuilds having been carried out by AEC dealer Oswald Tillotson’s Lancashire Depot (LD), in Burnley. Heather Bell also operated another Tower bodied coach, LPT 40, a Leyland PS1, which they acquired new in 1950. There is a photograph of this vehicle in it’s original form as double decker HL 7772 in the Super Prestige series, number eight, South Yorkshire and Bullocks. It’s particularly interesting because it had a Willowbrook lowbridge body of the twin sunken gangway type with a seating capacity of 48. It was one of two, new in 1937 and refurbished by Barnaby in 1945. The caption to the photograph states that they were withdrawn by 1951 but that would conflict with the registration of the coach if HWR 396 was issued in July 1948. Assuming it was withdrawn by Bullocks in early 1948, it would seem to have had a rather short life with them particularly as it had been refurbished only three years previously. Perhaps the twin sunken gangways and resultant low capacity were the main factors in their early demise with Bullocks. HWR 396 was withdrawn by Bullock in 1948. HWR 397 did survive to pass with the business to West Riding in 1950, but was sold by them two months later. It ran as a lorry in Wales for a further 18 months. The fact that it saw no further use as a bus would seem to indicate that the 1945 Barnaby refurb cannot have been that extensive. The single side gangway style of lowbridge bodywork was patented (the name ‘lowbridge’ thereby becoming a trade name) by Leyland before the emergence of the Titan in 1927. In 1928, to get round the Leyland patent, Hall, Lewis and Company introduced a double gangway design which was termed ‘lowheight’ to avoid problems with Leyland, and this style became used by other manufacturers for some ten years or so, notwithstanding the capacity limitations and extra intrusions into the lower deck ceiling. It would seem, however, that the Leyland lowbridge patent expired in the mid 1930s, possibly as early as 1935, when Manchester began a programme of rebodying 40 TD1 twin gangway buses with Crossley single gangway bodies on MCW frames. It does seem a little surprising that twin gangway double deckers should still have been constructed in 1937, unless there were specific reasons for doing so. Thank you, gentlemen, for your help in uncovering the origins of HWR. I’m trying to keep a working up to date history of B&S greatly expanding on the fleet history published by the PSVC. To that end this vehicle is of interest. Starting life as HL 7772 it was indeed bodied by Willowbrook but the photo in the Super Prestige book looks as though there are seats arranged four across – so probably not twin gangways. 48 seats isn’t really too low a figure considering that Roe also supplied two L24/24R bodies later the same year on HL 8493/4 and many others similar to West Riding which didn’t have two gangways. In the picture of 171 (HL 6349) which is the forward entrance Daimler with Willowbrook body you can see seats arranged three across, giving space for the second gangway, but the individual rows are closer together so allowing as many seats as a conventional single side gangway layout. There is usually a lot more legroom when seats are arranged four across. HL 7772 didn’t pass to West Riding in 9/50 as it had already left the fleet and was only registered HWR 396 after it had been rebuilt. Myers Wrose Tours Ltd only ran it three months so perhaps it wasn’t what they expected of it ?. What then is HWR 397 – I can’t find any reference to that in the B&S records? 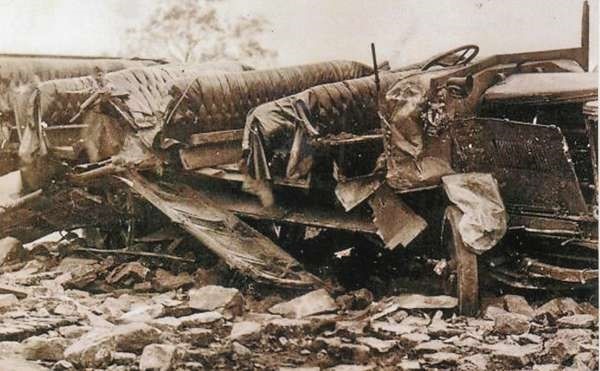 Apologies for the reference to HWR 397-the vehicle I was referring to was HL 7773, HL 7772’s sister vehicle-I was trying to illustrate the fact that the bodies on both vehicles must have been pretty worn out, hence the re-bodying of one and the conversion of the other into a lorry. I’m aware that the address of Raine’s of Spennymoor was Tower Coachworks, but I don’t suspect any connection with the Leeds company. To follow on Charles Marshall thread, Heather Bell also run a Regal MK 3 CFK541 which was New to Burnham’s of Worcestor in 6/1948 later sold onto Baldwin of Tow Law in 7/1953 operated by Heather Bell coach was used on the Bishop Auckland to Stanhope service. I have no withdrawal date of the coach. On retirement of Baldwin & Barlow Heather Bell was sold to Gibson’s in 1962. From having went to Unknown Gateshead dealer in 9/1960 HWR 396 ex Baldwin & Barlow coach went to D. Coates of Gateshead in 7/1961, no further trace thereafter. KWR 450. PSV Circle list this as being on a Bedford OY chassis number 68232 with Barnaby B30F body new to E Laycock & Sons, Barnoldswick 1/51 fleet No 49. This looks more like a Duple Mk II bus body on an OB chassis. Maybe PSVC have made a mistake and its an OB chassis or number plates were swapped to an OB later? The OY was a 3 ton general purpose army truck chassis, shorter than the OB. 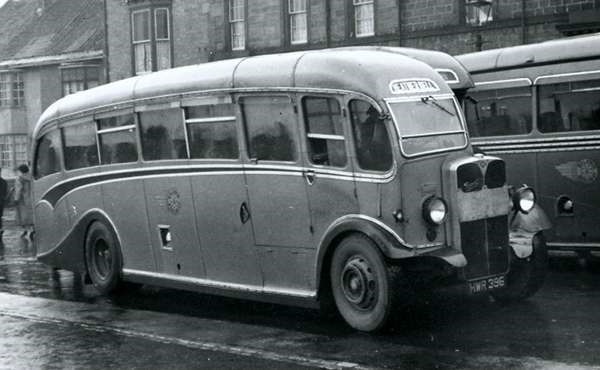 According to the Ezra Laycock ( First Bus in Yorkshire) book, this was an OB (P6 engine) purchased new in 1950.However looking at Laycocks other OBs including those purchased with the business of Silver Star of Carleton it appears to have a 1948 chassis number. While I don’t have a list of actual registration number dates, it would appear likely that KWR450 IS a 1950 registration. Possibly,therefore it is either an OY which was never actually sold, or an earlier OB which for some reason was delivered out of sequence. Or there might be some other explanation altogether – perhaps connected with Perkins. Laycocks previous bus bodied OB together with bus bodied and downgraded coach bodied WTBs , and a rebuilt OWB were all fitted with Perkins engines. Roger sent this photo saying he had sent details earlier but I did not receive them, I tried to email Roger but no reply. So what does anybody know about this one. The bus is a Latil and like most, if not all, vehicles built by the company, it is RHD. This pic captioned date unknown is published on the Cambridge News web site. 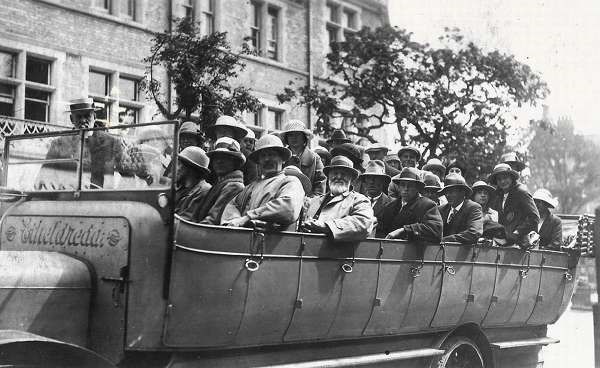 Caption says "Cambridge Charabanc outing date unknown". looks to have been taken in early 1920’s, the name on the front reads ‘Ethelredia’, not sure if this is the name of the chara, or the operator, but no mention of a company called Ethelredia in Paul Carters ‘Cambridge 1’ book. Ortona had three Straker Squire chara’s CE7023-5 with 33 seat bodies, could be one of these. Ethelreda (or Audrey) was a Christian saint connected with the Abbey Of Ely, so Ely may be a clue. Local Cambridgeshire historian Mike Petty has recently posted this pic on Flickr but unfortunately has not captioned it. I think we can assume the pic was taken in Cambridge or surrounding area as Mike has put it in an album entitled ‘CambsPix’ by the looks of it in the early 1930’s. Can anyone identify the make of coach and who the operator may be. There is a crest on the side with what looks like 3 letters, but is very indistinct. The pic appears to have been copied from a book or other publication. Commer Invader of around 1933, perhaps? No idea about the operator though. In the years up to the 1930s a number of small operators in the Cambridge area used a garter style of fleetname which incorporated the initials of the proprietor. Both Norman Thompson of Harston & District, and Jabez Parnell of Haddenham & District employed this device, and, if we could decipher the lettering on the mystery bus, it might be possible to have a crack at identifying the operator and hence the vehicle. I have trawled through my books by Cambridgeshire transport expert Paul Carter without success. I’ve played around with this in Photoshop without too much success. The lettering in the garter I could marginally improve, enough to make a bit clearer the last three letters on the upper left side of the garter which seem to be Ltd. The first three letters on the top of the right hand side maybe Cam , the C is certain, the rest not so much. This looks like a short name on the left and a larger location on the right given the proportions of the space on each side of the garter. I can’t make much sense of the logo in the middle. What looks like legal lettering in white on the lower forward panel definitely starts with J but the second word has the wrong shapes for Parnell. Even though the lettering on the right of the garter begins with C there is no certainty that the coach isn’t visiting from further afield. The front hubs were the one reservation I had about it being a Commer. The style of hub looks familiar, and quite distinctive but I can’t put my finger on it. Morris Commercial springs to mind, but I doubt it and the wheels aren’t right for a Ford BB. Further reflections. The exuberance of the occupants suggests that this might well have been a visiting coach party rather than a local bus, in which case the vehicle could have come from way beyond the Cambridgeshire locality. A likely possibility is that the coach was a Gilford AS6 from Harston and District, (there is a pic of one (VE8761) on page 8 of Paul Carters Premier Travel book which looks to have the same or similar logo. If so it was being hired in by Edward Lainson, the man who started Premier Travel Ltd., who in 1932 started a bus company with some undergraduate friends and called it ‘Undergraduate Roadways’ I think this pic could have been taken on the inaugural trip. Not sure, but the lady looking out of the passenger door window may be Edward Lainson’s girl friend later to become Mrs Lainson. The pic is in Mike Petty’s Flickr postings ref No 186.64, unfortunately he has not activated a comments box for viewers to add comments, but various sizes of the pic can be down loaded. The angle of the photo makes identification of the vehicle rather difficult, but I harbour the notion that this might be a Gilford AS6, a type that was quite well represented in the eastern area. Like Phil, I have played about with the crest, in my case using PhotoZoom Pro which writes in extra pixels when zooming, but again without material success. 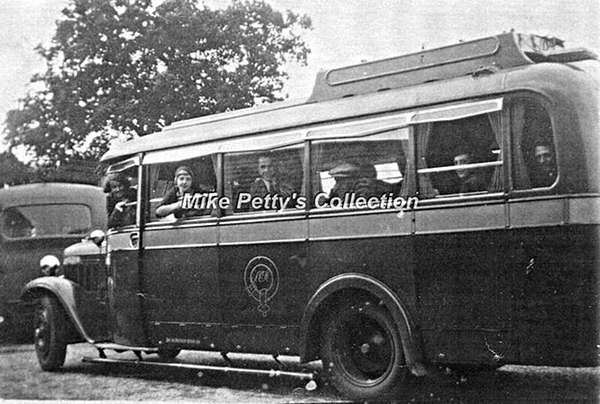 I have now heard from Mike Petty, he says the coach was owned by S C Woolstenholmes of Haddenham Cambs. He does not know what the make of coach is or what it was doing. Congratulations on your detective work, John. Gratifying, too, that our identification of the vehicle type was accurate. The garter style fleetname must have been a speciality of a sign writer in the locality – no vinyls back in the 1930s – as it was used by Jabez Parnell and Norman Thompson, as well as Sidney Charles Woolstenholme, and possibly by others. It would be interesting to know what is written in the garter. I’m not sure when transfers came into common usage, but blank garter transfers were produced, requiring a sign writer to merely ‘personalise’ them for an operator. The initials in the garter, and the garter itself, on the coach are totally different to the monogram on the lorry garter. I don’t think that Mr. Woolstenholme would have used different initials on his lorries and coaches, with the lorries being more complex than that on the coaches. 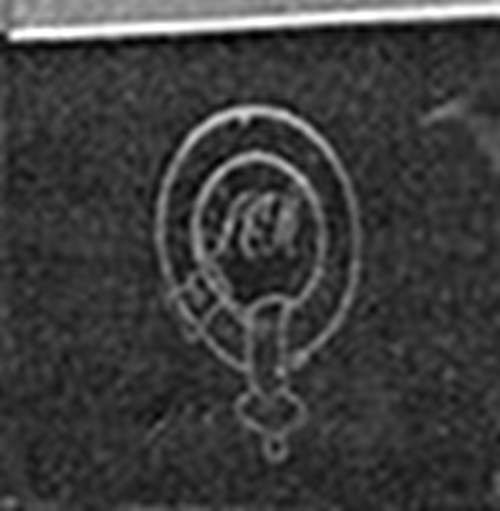 Unless some elements of the Coach initials have been lost in the photographic process the initials appear to read L.E.R. Having now identified the operator of the coach, the question still remains as to what it was doing. I still think it was being hired in to Edward Lainson for his fledgling Undergraduate Roadways. The passengers do look like undergraduate types rather than ‘fen folk’ I am sure I have seen this photo before in connection with Lainson & Undergraduate Roadways. Its not in Paul Carters books (Cambridge 1 or Premier Travel) nor in Premier’s own book Premier’s Progress edited by Mrs Lainson. This came out of a pile of rubbish left when clearing out someone’s effects. It was found in Derbyshire. Sorry I don’t have any more information. It is 9" x 35" and I would guess it has come from a lower deck bulkhead. Can anyone tell me more about it please? Looks suspiciously like STD (Sheffield) typeface and 468 would make it a PD3/1 Roe H39/30R of 1959. This is a pure guess, but the font of "468" vaguely points to Sheffield Corporation (and I have no idea why, as I have never been particularly familiar with them). Like David, Les and Malcolm, I immediately thought of Sheffield. That same typeface was also used by Rochdale Corporation although I know it isn’t one of theirs. The name ‘Tearn’s Transfers’ also came to mind but I don’t know if Tearn’s made the transfers for Rochdale and Sheffield. I Googled Tearn’s and the company (or a successor) still trades today. David Oldfield could be right as the one he refers to would have been withdrawn in the mid-seventies however I believe that the numbers were applied direct to the panel-work by then rather than being on a separate block as shown in the picture. HWA 148 became Gritter G51 for many years after being withdrawn from passenger service so bits may have survived longer than normal. Be interesting to see where this one goes though. Smoking was prohibited, but presumably spitting was permitted!!! Thanks to everyone who has had a go at solving the puzzle. I thought it likely to be Sheffield – it just has that look about it. ECW bulkhead panels had the main one placed centrally. I only ever saw "no spitting" on Huddersfield trolleybuses. The colour of this panel is quite strange because it appears to have a metallic tinge mixed into the cream. Pity somebody had a scratch around at it and just spoiled the tidiness. So there it is. I think we all agree on Sheffield, but not sure about the actual vehicle. I’ll probably put it on eBay at some time in the future and that’ll make sure that it goes to the right home – someone who appreciates it. Other operators to have NO SPITTING notices were to my knowledge, Ashton Corporation, Swindon, SHMD Joint Board, and St Helens. One query…what would be under the smudged out part above the number, if anything? From the 1940s until well into the 1950s Manchester Corporation’s vehicles’ lower deck bulkheads contained two admonishments. Above the nearside window "NO SPITTING", above the driver’s window "NO SMOKING". The central pillar carried an advertising space frequently extolling the benefits of using the Manchester Ship Canal often ending with the slogan "Use the Ship Canal" In the days before widespread car ownership many of Manchester’s importers and exporters went to work by bus. The admonishment about spitting and the advert were combined by a local comedian in his music hall act and the saying "Don’t spit, use the Ship Canal" became a well known local saying. Tom Robinson, secretary of the Sheffield Transport Study Group is of the opinion that the saloon bulkhead panel shown from 468 would be from Roe-bodied PD3 4468WE as the bulkhead panel from HWA 148 of 1942 would have been in wood and the one shown appears to be metal. ‘SPITTING STRICTLY PROHIBITED’ was perhaps more prevalent in the coalfield areas where many miners used to chew tobacco rather than smoke it. The practice, I believe, required required spit to be discharged at certain intervals. Derby Corporation had an unusual notice: PLEASE KEEP YOU FEET OFF THE PANELS – although it didn’t specify which panels. It wasn’t only a problem on buses, my grandfather was a railway guard on the Woodhead line, he also used to chew tobacco and would spit into the open fire at home. At our house he would sometimes forget and spit all down the front of our flame effect gas fire! I can remember, passing through Carlisle in the mid-1950’s, going into a pub one evening. As per usual, I went into the lounge which was full of women, giving me an unwelcome stare. I decided to go into the Public Bar. It had sawdust on the floor, which was awash with beer and there was a spittoon in one corner, which one person decided to use I beat a hasty retreat and went back to the hotel and to bed! Aah, the good old days! Chris,in SHMD territory only what was termed a "Southern Jessie" would try and go in the Lounge. As a child I would be sent in there to get a large jug filled up with Stout to take home to my cotton mill worker Grandmother. When I was beyond the bottle of pop and packet of crisps age I used to drink with my Dad and Grandads, this had to be in the Vault. This would be full of men like them with arms like Popeye. (the product of hard manual labour, not gym and steroids), most of these men had served in one or both wars. The time to leave would be if one of them put his dimpled pint glass upside down on the bar, this was a challenge that he would take on anybody in a fist fight. "Spitting Prohibited" was on the lower deck bulkhead of Hants and Dorset buses at least until those delivered as late as the early sixties. As an apprentice in the early seventies I asked why it was there and was told it was to try to reduce the spread of TB. I think TB is the most likely. It was a nasty killer and spitting in mining areas was not just the (declining?) footballer gesture, but a whole ritual of collecting…that will do…The top brown bit looks like a dab of paint as if covering up the ownership- but who? I’ve attached a photo of GO 8512 which I have been unable to identify and I would be grateful if you could upload to the DYK feature. I have received permission from the Museum which owns the photo to do this. To expand on the caption, the photo is in the collection of Halstead (Essex) Museum and should therefore logically have some connection with the area. Sorry, no idea, but at the risk of being called a smart Alec, the close up reveals that it is actually GD 8512. To me that registration is without doubt GD 8512 – the corners of the letter are not all the same as they would be if it was an ‘O’. Yes, certainly looks like GD which was a Glasgow mark. Registration GD 8512 was issued in 1927 in Glasgow. It is a REO (REO Pullman?). 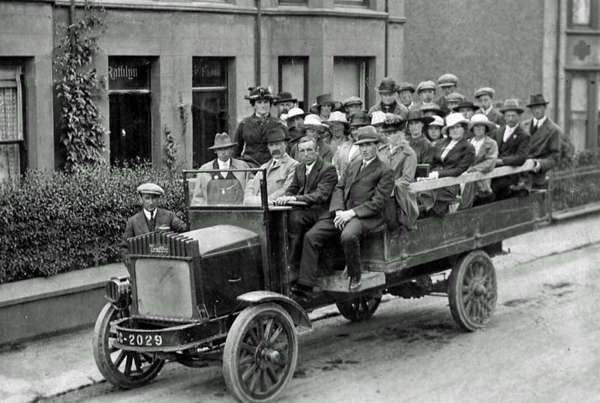 According to "Fred" who posted on sct61.org.uk this was a 26 seat REO Pullman first registered in Glasgow in October 1927. It later served with A.E. Letch of Sible Hedingham. Letch sold his operations in June 1960 to his part time assistant, a keen enthusiast called Donald MacGregor. Mr. MacGregor renamed the business "Hedingham & District Omnibuses" and spent the next fifty years building it in to a major operator. Thanks to all who contributed. Now all we have to do is find the location!